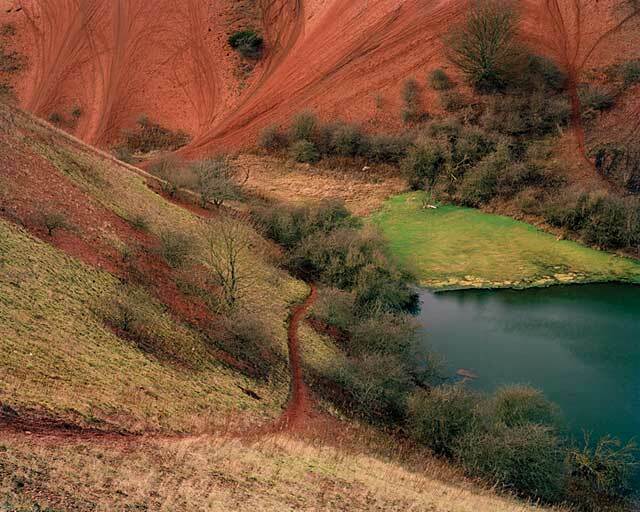 Evidence, is an exhibition around the landscape and its use by humans through time that brings together the work of three photographers, David Paterson, Jack Luke and Lynsey Bell. Paterson's 'Out of time (Memories of the Neolithic )' black and white photography of the plethora of neolithic remains - specifically standing stones and stone circles - which are spread throughout the UK. Jack Luke's colour work 'The Bings' explores the spoil-heaps comprised from the tailings of the once globally important shale-oil industry, which was centred in West Lothian. Bell's work 'The Beauty of Oatslie' explores a landfill site in the Pentlands and the 21st century re-making of the landscape.